Rwanda National Police (RNP) and Malawi Police Service (MPS) have signed a Memorandum of Understanding to formalize their cross-border cooperation in various policing disciplines. The pact was signed on March 26, between the Inspector General of Police (IGP) Dan Munyunza and his Malawian counterpart, Rodney Jose. The signing was held on the sideline of Kigali International Conference Declaration (KICD) Annual General Meeting that started on March 25, in the Malawian capital, Lilongwe. The pact, according to Commissioner of Police (CP) John Bosco Kabera, the RNP spokesperson, provides partnership in areas of training and information sharing. 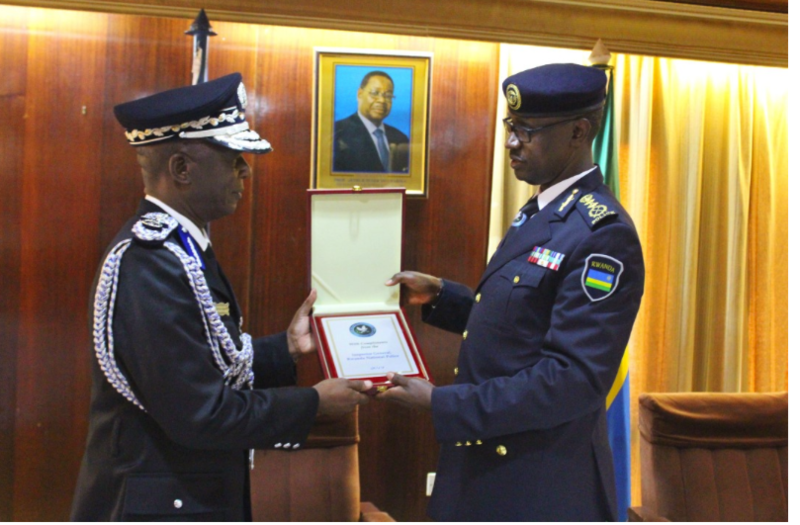 “Rwanda National Police and Malawi Police Service have been working together and the MoU formalized this bilateral cooperation in capacity building and training in particular, and exchange of best practices in security, among others,” CP Kabera said. The pact falls in the RNP cross-border cooperation strategy as spelt out in the force’s key priorities. RNP has signed over 30 MoUs under bilateral arrangements and about 10 others under multilateral frameworks. Since its creation in the year 2000, RNP has joined and actively participated in regional and international police groupings like Interpol, the EAPCCO, International Association of Chiefs of Police (IACP), Eastern Africa Standby Force (EASF), Regional Centre on Small Arms (RECSA, East African Community Northern Corridor Integration Projects (EAC-NCIP) and engaged in peacekeeping missions, among others.